Everyone is unique, as are their situation and needs. 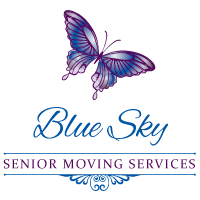 Blue Sky Senior Moving Services provides a free consultation, by phone or in person, to assess your goals, discuss options and develop a quote based on a plan we both agree upon. A punch-list if you will, of everything required to get you from start to finish within budget and on schedule. Know where every piece of furniture, lamp and extra blanket will go in your new home before you move in. We know this can be an emotional aspect of moving, but we’ll help you pass on items to family, decide what to donate, sell and discard. Choose from an In-Home Sale: prospective buyers visit your home. Or a Gallery Sale: your items are taken to another location to be sold. We can provide a Realtor to assist in the sale of your current home and use our expertise in getting it ready for the market. We’ll submit a change of address at the post office and have all of your utilities and other services transferred to your new home. Blue Sky SMS will arrange for those items that need to be carefully packed, labeled and delivered to a storage facility. We pack and deliver items to be donated. We suggest The Salvation Army or Disabled Veterans for their direct support. Our partners have over 25 years of combined experience and provide white-glove relocation and installation service. We understand how important and cherished all of your belongings are and will make sure they are handled with care. Our professional movers will unpack, unwrap and assemble your possessions and place them exactly where you want them. From window treatments to throw pillows and pictures on the wall, Blue Sky Senior Moving Services covers all of the details.